In case you didn’t already know, Couchsurfing is absolutely massive in Iran. With more than 40,000 hosts in Tehran alone, the odds of getting an awesome host are pretty high. 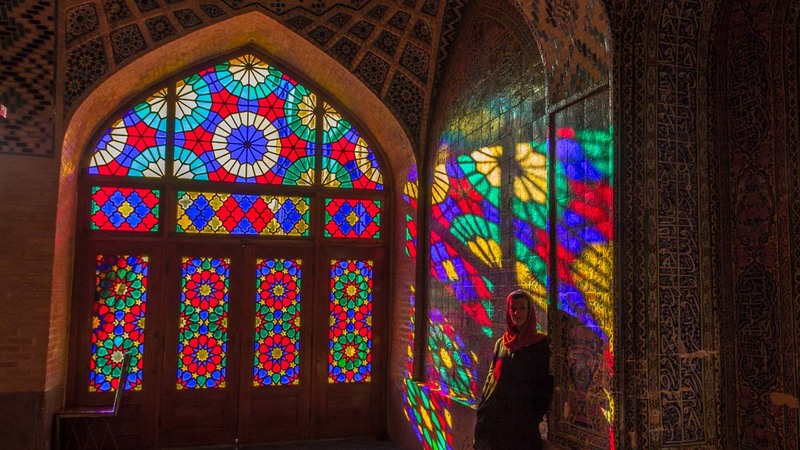 All you need are these 12 tips about Couchsurfing in Iran and you’ll be good to go! Couchsurfing is a great way for independent backpackers to meet cool locals wherever you go. It’s a unique chance to peek into a new culture and maybe even get some once-in-a-lifetime cultural experiences. On top of that, Iranians are known as the most hospitable people in the world. What we’re trying to say here is that if you go backpacking in Iran, you should definitely give Couchsurfing a go. Iranian hosts are super nice! Wait – Isn’t Couchsurfing Illegal In Iran? Officially? Yes, Couchsurfing is banned in Iran. Now, take a deep breath and stay with me. In real life, things are nowhere near as scary as they may sound. Yes, Couchsurfing is forbidden in Iran, but so are many other things. Wearing a tie, women riding bicycles, singing in the streets, smoking weed. Does this mean that nobody gets high in Iran? No, it does not. It means that Iranians know how to be discreet about it. The same applies with Couchsurfing in Iran. Be cool and you won’t have any issues. There’s no need to be paranoid, but you also shouldn’t tell just anybody that you’re staying with a Couchsurfing host. If asked by the police, say you’re staying in a hostel. Mentioning your host by name can potentially mean trouble for your host, which is the last thing you want to happen. You won’t rot away in an Iranian prison if you do “get caught”, but you might face some unpleasant questioning. The thing about fast Wi-Fi in Iran is that it’s not a thing. Almost all tourist cafes and hostels actually have Wi-Fi, but the connections are generally frustratingly slow. 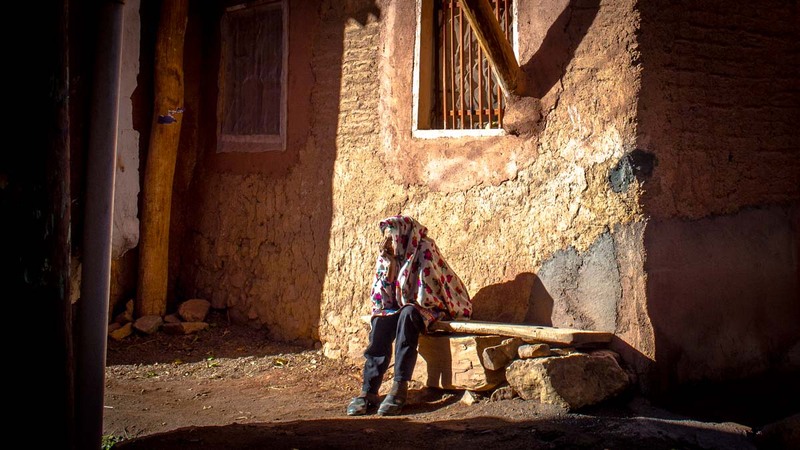 In terms of Couchsurfing in Iran, this means that communication with hosts can be difficult. To avoid constantly hunting for decent Wi-Fi, buy an Iranian SIM card with data for your smartphone. If you don’t have a smartphone, well… Carrier pigeons might still be faster than Iranian internet. These cards are inexpensive and will save you a lot of money and energy (and missed messages). We got one from Irancell for $8 which lasted throughout our time in Iran. Another bonus of getting an Iranian SIM card is that many hosts prefer replying via WhatsApp, Telegram (Iranian WhatsApp), and similar messaging applications for smartphones. 2. 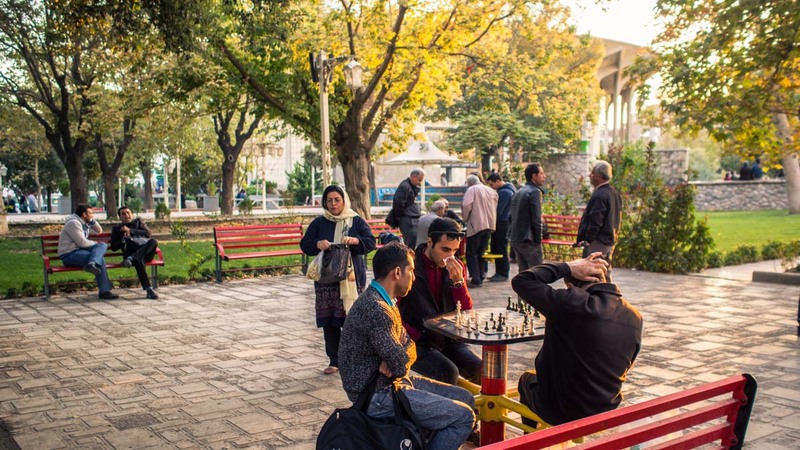 Be Careful – Iranians Are Extremely Hospitable! Careful? Isn’t hospitality a good thing? 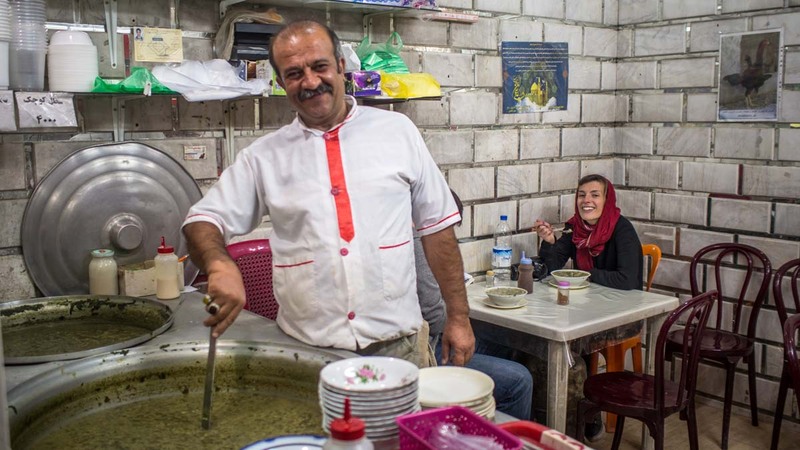 As already mentioned, Iranians are world-famous for their hospitality. And for once, there’s something true about the fuss. Iranians are honestly some of the most welcoming and warm people we’ve ever met on our travels. The best part is that nothing but kindness is expected in return. Now, while this is all nice and refreshing, it does have some consequences when you write Couchsurfing requests. Chances are you’ll be an Iranian Couchsurfing champion after reading this post. Heaps of hosts will accept you, so you might want to consider the amount of requests you send out. Start small – send out 3-4 and see how it goes. Another result of this incredible hospitality is that many Iranian hosts like to hang out with their surfers – and they expect you to want to, too. Consider it a luxury to have a host that actually wants to get to know you and tell you about his life. If possible, try not to lock yourself in on too many plans before meeting your host. Chances are he’s thought of things you can do together and will be surprised if you’re already booked out. Now, there’s a fine line between hanging out because you’re being polite and hanging out because you actually have the time to do so. Hosting is a pleasure to many Iranians and they’ll do anything in their power to make sure their guests are happy. Did you mention you like pancakes? Let’s go to the best pancake place on the other end of town. Oh, you like biking? My cousin has a spare bike, I’ll call him so you can use it. It’s your responsibility as a cool guest to make sure your host knows he’s not obliged to entertain you all the time. Tell him you don’t mind spending time alone. Otherwise, your Iranian Couchsurfing host will put you and your needs above his own. If you’re worried about how in the world you’re going to explain all this to your Farsi-speaking host, don’t be. Time and time again, we were surprised at how well Iranians spoke English. In fact, we found it easier to communicate in Iran than in some countries in Europe. There’s always a decent English-speaker around to jump to the rescue when you’re not being understood. Many Western websites are blocked in Iran, including some of the fun ones like Facebook, Youtube, and most news portals. Luckily, Couchsurfing has been spared, but if you want to login to your CS account via Facebook, you’ll have a problem. But before you start hyperventilating, here’s the good news: there’s a way around this big bad firewall! That way is called a VPN or virtual private network. With one of these bad boys on your phone or computer, you’ll be able to access Couchsurfing without any problems. We used PureVPN while we were backpacking in Iran and still use it to this day. Simple as that – whichever activity your host suggests, go for it. Iran is one of those rare countries where you can let down your guard and not worry about ulterior motives. Iranians talk to you because they want to get to know you (or practice their English), not because they want to persuade you to buy a souvenir. Sure, there are occasional exceptions, but generally speaking, Iran is a safe haven. Go for tea at some distant relative’s house, take a scooter across town to see your host’s favorite mosque, cook together, anything – it’s worth it! When you create a public trip on Couchsurfing, you upload your travel itinerary so hosts can contact you with suggestions and couch offers. We’d heard this was a popular method to find hosts when Couchsurfing in Iran, so we thought: what the heck. We’d never done it before, but it’s a fun way to shake things up a bit. We got plenty of answers, but none were useful. Some offered professional tours, some were renting out rooms for money, and some offered couches very far from the places we were actually going. In the end, we deleted the public trip and went back to writing individual requests like usual. We later met several backpackers that had the same experience. It can’t hurt to try, but be prepared to switch tactic. Some Iranian hosts write they’ll only accept guests with complete Couchsurfing profiles. This basically means profiles that have detailed bios plus a few pictures and references. Take time to give your profile a facelift if you think it needs it. There’s plenty of hosts that are less strict, but again – it can’t hurt to make your profile topnotch. To make your Couchsurfing experience in Iran even more awesome, there’s a chance you won’t be sleeping in a bed. It’s not unusual to be offered a mattress on the floor which is not to say your host can’t afford a bed. Culturally, it’s just common to sit and sleep on mattresses instead of using chairs and beds. Best part? You finally get an excuse to eat in bed! This is a fun thing to do no matter which country you’re in. Surprise this super nice person who has invited you into his home by showing up with some sort of present. It can be anything – chocolate, a unicorn, basically whatever you think your host might like. They won’t be expecting anything from you, which means your effort will be greatly appreciated. Gifts are an extra good idea if you’re staying with a family. Iranians are family people with a capital F, so giving some candy or a little, inexpensive toy to the kids will be a big hit. The kids will love you for it and the adults will see that you’re trying to be a good guest. When Couchsurfing in Iran, we gave our hosts some koala teddy bears from Australia. It wasn’t anything special, but those little fluffy guys are now a fun memory for our hosts. This was perhaps our biggest initial mistake. We sent our first couch requests about 3 weeks prior to our trip, and that didn’t work out particularly well. Nobody accepted and we were confused. When we Couchsurfed in Eastern Europe over the summer, writing our hosts a few weeks in advance had been an excellent tactic. As it turns out, many Iranian hosts are not big on long-term planning. Giving 4-5 days’ notice is a more efficient method and should increase your chances considerably. We once wrote two hosts in Esfahan with 1 day’s notice and got a yes within an hour. Time To Go Couchsurfing In Iran! That’s it! 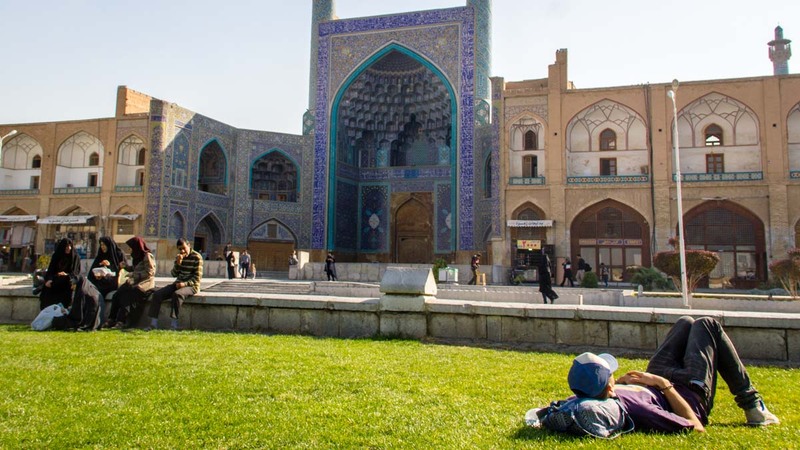 You now know everything there is to know about Couchsurfing in Iran. You’re officially ready to start tip-tapping away in search of awesome hosts and experiences! What is your experience with using Couchsurfing on your travels? Did we forget something in the post? Or do you just want to say hola? Drop us a line – we love making new friends! Buy beer or wine? Where did you manage to find shops selling alcohol? Sorry, Graham that alcohol or beer gift suggestion is meant as a general idea when Couchsurfing. Sadly, the alcohol prospects in Iran are as you would imagine next to none. You can get it on the “black market”, but a local would need to point you in its direction. Great tips thanks! But your report leaves me somewhat puzzled: my CS host in Tehran whom I’m meeting this weekend for the 3rd time tells me today (5th April) that the CS website is now blocked! Have you heard of this? No we hadn’t heard this!?!? While we were in Iran it wasn’t blocked and we checked with our Iranian friend a few weeks ago to double check it was still all good. That’s sad to hear it’s now blocked, but you can always get around the firewall if you get a VPN. 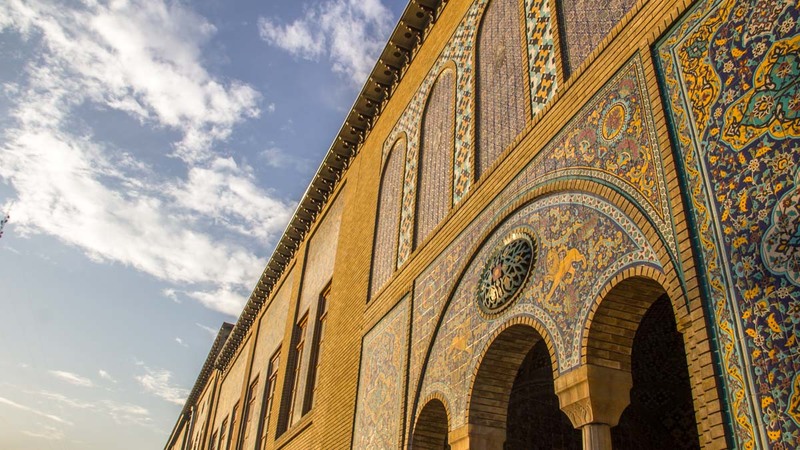 Have a read of our guide to the best VPN for Iran we wrote earlier this year. I don’t think it would be advisable to give any indication that you’ll be couchsurfing. I would book a hostel/hotel for you first night and give that information when you’re getting the VOA. Write the cost off to save waking your hosts up at 3am, getting them in trouble or even worse not getting into the country! I will be arriving at Isfahan Airport at around 3 o’clock in the morning on 27 December and will have a copy of an email from a friend in Isfahan inviting me to stay with his family for two weeks, with his name, mobile number, address, and identity card number. I will be traveling on an Italian passport. Should l be OK to get visa on arrival? I would be really grateful for any information you can give me. Thanking everybody in advance. I found this website only a few minutes ago, and hope someone can help me. I am an Iranian host and what you wrote is 100% true! Your post describes hosting in Iran totally correctly. Btw, I can host whoever is planning to come to Tehran. You can find me by searching simply “Farzad Mehrpour” in cs. Best wishes to everyone who plans to come to my country!